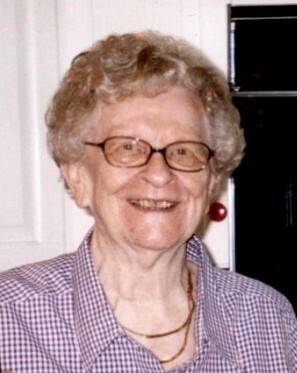 Helen D. Lostys, 92, formerly of Orange, CT, passed away peacefully on April 7, 2019. Helen was the youngest daughter of Frank and Mary Lostys, and the sister of the late Faustina "Whitey" Lostys and Genevieve (Stephen) Michalik. She served as the administrative assistant in the clinical-pathology department at Yale New Haven Hospital for 38 years. In her earlier days Helen enjoyed golfing, fishing, and playing with her numerous pets. She is survived by her nephew Francis (Ann) Lostys, niece Genevieve (Joseph) Bogacki, nephew John Lostys and great niece Jacqueline Lostys. Relatives and friends are invited to attend a Mass of Christian Burial at Holy Infant Church, 450 Racebrook Road, Orange, CT, at 11:00 a.m. on Wednesday, April 10, 2019. Burial will follow at All Saints Cemetery, North Haven, CT. There will be no calling hours. Arrangements are being handled by CODY-WHITE FUNERAL HOME, 107 Broad Street, Milford, CT 06460.